Life can throw challenges and changes at us. How do we want to create this New Year to be for us individually and collectively? We can hit the restart button and begin afresh!! In the Hebrew and Christian Scriptures a person's name was given as an embodiment of their character and even their future. There are spiritual traditions where one even receives a new spiritual name. This signifies a new birth, a naming ceremony, where we embody how we now give birth to our Divine Nature. What's your name? Let's find out! Ask any mother about the challenges of labor and she may very well go into the intensity of the experience. However, you may quickly hear the story that follows, the birth that brought Joy to the hearts of the parents which made it all worth it. Here Rev. Tim talks about the work and labor required to birth the ultimate express, the realization of the Christ within! Love is the great unifier, the great harmonizer. God is Love. The birth of Jesus is about Love personified. How do we give birth to Love in our day, to give birth to the Christ? 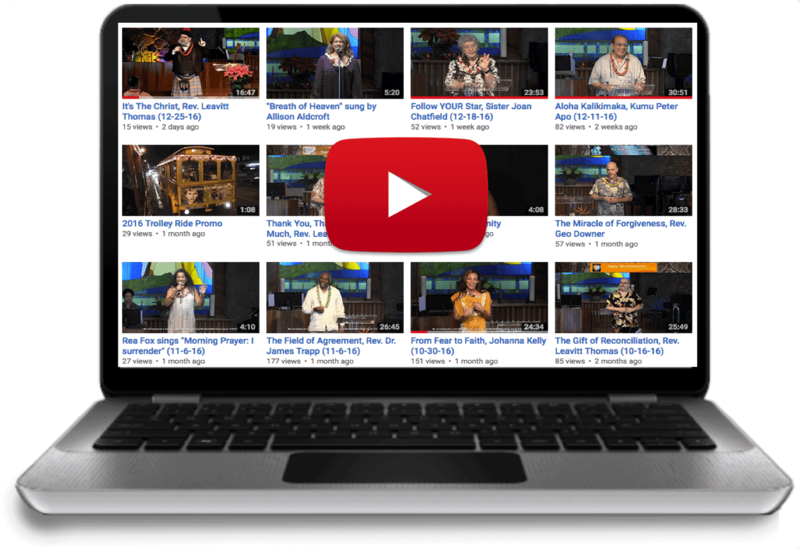 Can't watch a Sunday service exactly at the time it livestreams and don't want to wait until it hits our Youtube page? NO PROBLEM! You can now watch a service the same day it streams right from our archive page. Click HERE.